Real Word/Nonsense Word sorting mat. 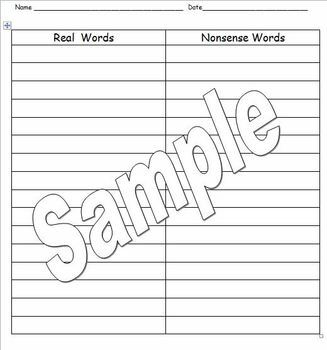 Students can use the mat to list real words and nonsense words. Can be used for Daily 5 word work.